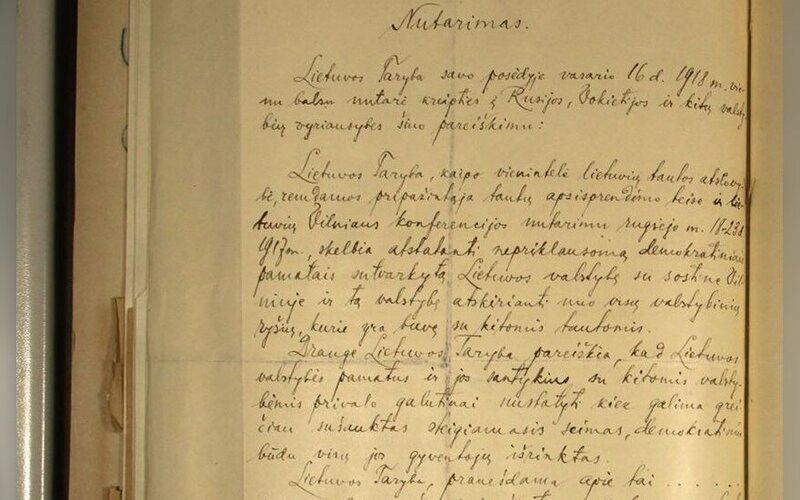 The long-sought original document of the Lithuanian Independence Act signed on February 16 1918 was discovered in Germany's diplomatic archives in Berlin on Wednesday, professor Liudas Mažylis of the Vytautas Magnus University behind the discovery confirmed to BNS. "The Lithuanian version of the resolution with all 20 clearly visible signatures was included next to the German version in the case," the professor told BNS. In his words, the piece of paper is folded in four, which confirms the conclusion that it had traveled by mail. The act was included in the case in March of 1918, the following month after signature of the historic document. 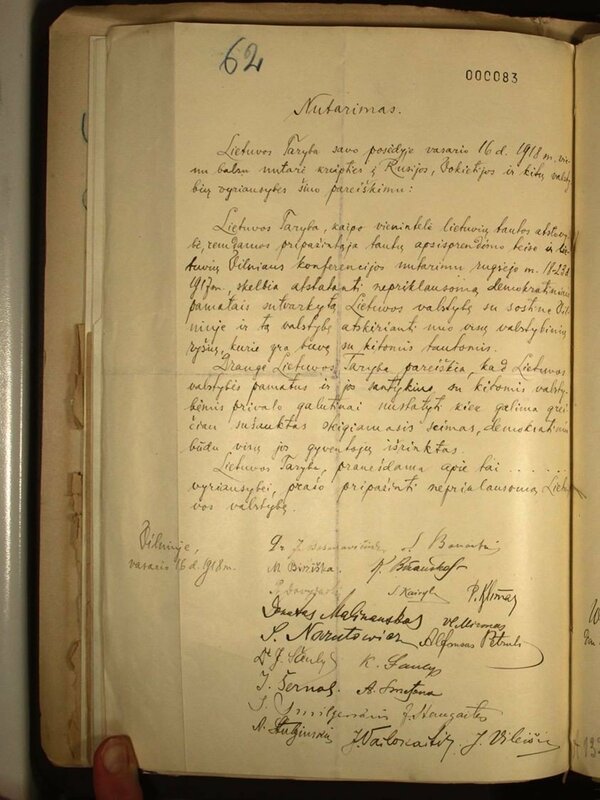 Mažylis said it was the approaching 100-year anniversary of Lithuania's statehood that encouraged him to search for the document. "Lithuanian scientists were seriously and consistently interested in the German line, however, their efforts were probably insufficient. I decided to look at the German archives and to see how accessible they are. It turned out there were no special restrictions. I wrote an email to Germany's state archives and said I was interested in the period, notifying them of my field of interest. I received a list of cases I could look at more thoroughly, and I did this. It took me two days," said Mažylis. Presided by Jonas Basanavičius, the Council of Lithuania signed the Independence Act in Vilnius on February 16 of 1918. Lithuania celebrated on Saturday the 27th anniversary of restoration of independence.